SHIPPING is FREE on orders of $150 or more. 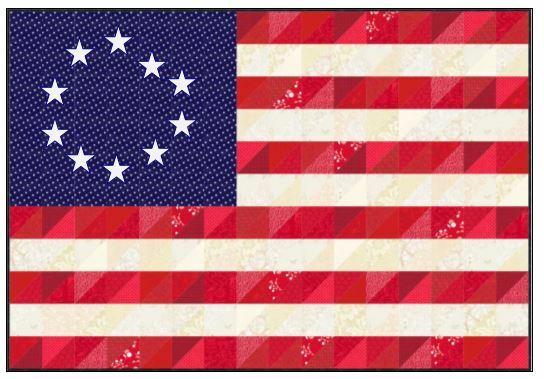 This kit has everything you need to make this variation of the US Flag Wall-hanging. A variety of red and cream fabrics. Template and white fabric for stars. Using half square triangles — this can go together very quickly! Attended a Class or Workshop? Leave us a review! Receive our email updates in your inbox! This will help us send you the right information.